Random Funny-ness | This is a blog. Our wonderful GBD member Emma-Lu sent this here great image… The caption was: “If rain does not stop in Cape Town”. We here at GBD think this is also applicable to Vancouverites. Would you rock these babies? This entry was posted on October 1, 2008 at 3:41 pm and is filed under General Blog. You can follow any responses to this entry through the RSS 2.0 feed. You can leave a response, or trackback from your own site. my computer is retarded apparently. little x at the corner? It’s because the google account is temporary unavailable right now. The last movie image didn’t appear due to where ever the image was directly taken from, forbids hotlinking. Kristin, save the image to your computer, then upload to photobucket/Flickr or to the blog/GbD’s database… seems like the image URL is coming directly from someone’s inbox. Did I fix it? Thanks Arelis! Yep, it’s working! and you’re welcome. 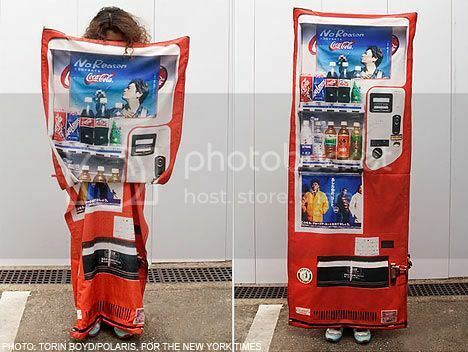 Those look awesome… I wonder if they actually work, what’s the price on them, maybe for next summer?! Lol! I saw this picture a few weeks ago (my mom emailed it to me while there was a hurricane going on!) and I was cracking up! Those are hilarious! I totally want some! LOL what the heck? HAHA. Scuba dive in fashion! Complementary colors, too! Even more weird. I love them! That is the kind of art I like because it makes me smile 😀 (any art that brings me a feeling of some sort :P) I don’t know though if I’d walk with them. An aqua run show seems to be the perfect place to expose those cutties! 😛 that would be original ! LOL! I could just imagine someone scuba diving with those! Hahaha, what’s next? Designer wetsuits? I’m sure that’ll ve the next step! LOL Designer Weisuits! Hahaha those are ugly, sorry. 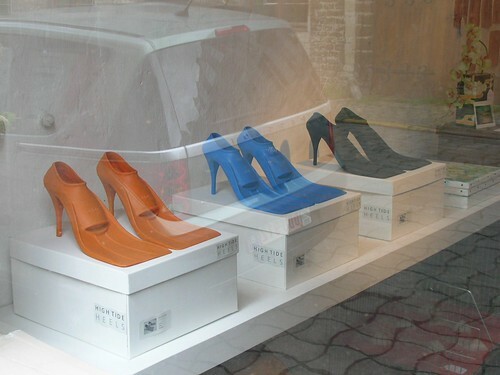 =P… but totally funny… being as I live in Washington, I know what it’s like with so much rain also… but I dont think I would ever wear those, no matter what. heheh well cute as in funny cute? Haha funny pic. I would not wear them. What will they come up with next? Sascha is right, speaking as a Londoner myself, they could be very usefull hereabouts. Do they make em for guys too? hahaha! I would not rock those babies….those are worse then crocs!!! hilarious! but hell yeah id rock the black ones! LOL! If those suckers got wet and they’re the same material as Crocs…wouldn’t feet slip through them? Hahaha. it’s strange, funny…. but… hum… no thanks! Those are usefull shoes! hehe!! Um I think I wouldn’t not wear those. They look too silly for me . .lol.